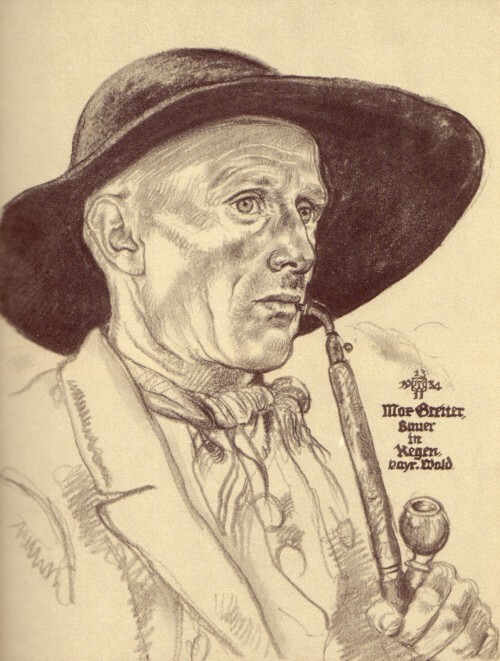 There is much interesting information pertaining to this man whose artwork I truly admire. 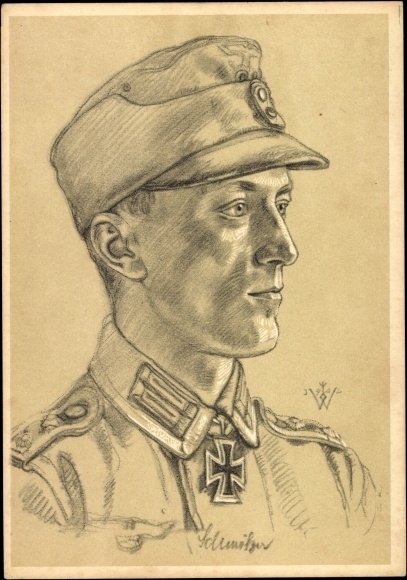 However, I wish first and foremost for his art (which speaks for itself) to be viewed by others, so what biographical information I have chosen to include in this post is displayed towards the end. 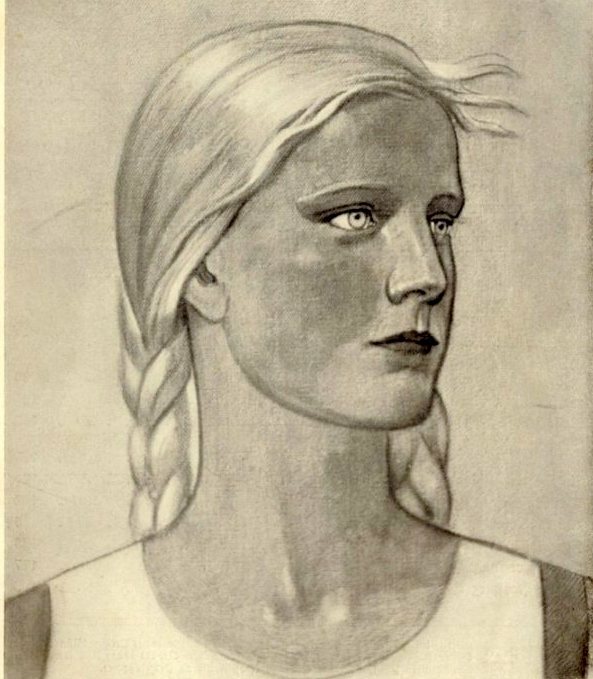 Utilizing the four links that I have gathered which contain biographical information on the artist, below are the excerpts that I find most interesting. 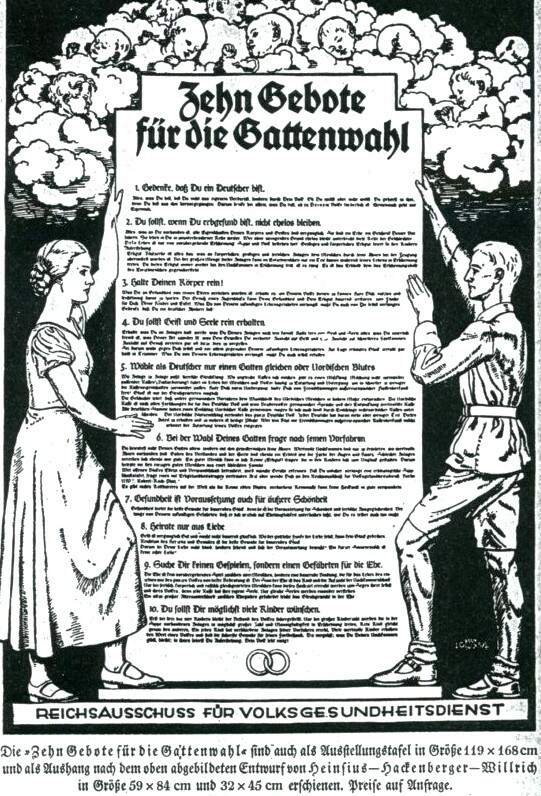 The first link is in German. 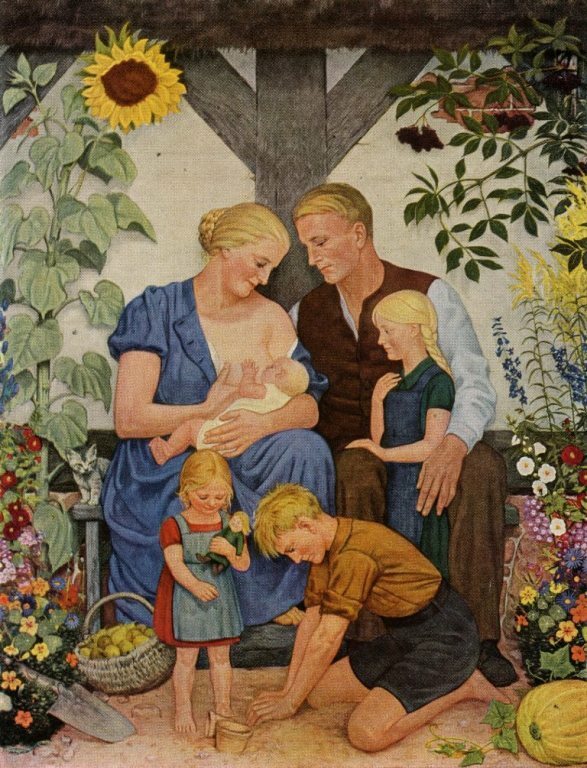 You can click here if you’d like to start at the welcome page with everything translated by google into English. 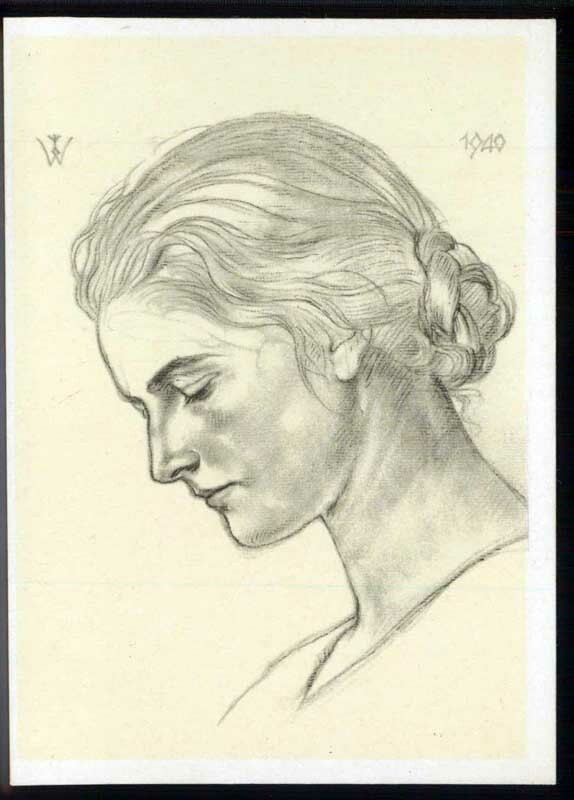 According to the translation the man responsible for this archival website, who has been collecting and cataloging copies and images of Mr. Willrich’s work for over four decades, had even made friends with his widow before she died. 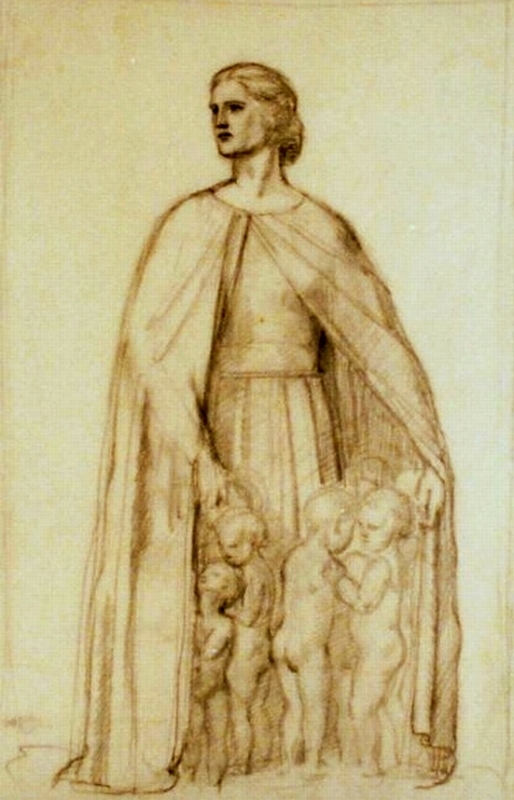 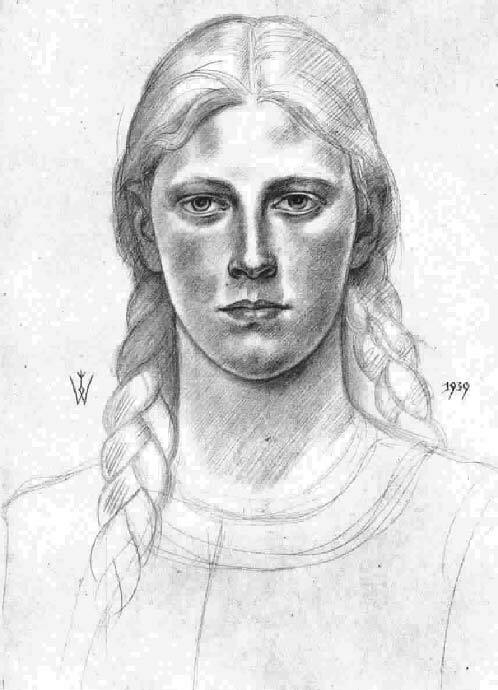 The portraits, sketches, and drawings above largely originate from this site and are only a very small sampling of its total pictorial contents. 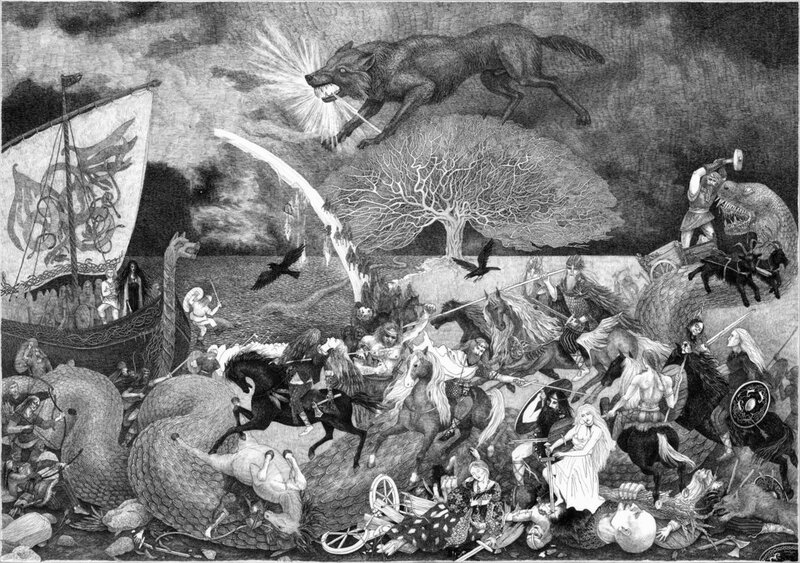 I enthusiastically encourage all to go there and view the rest of the illustrations. 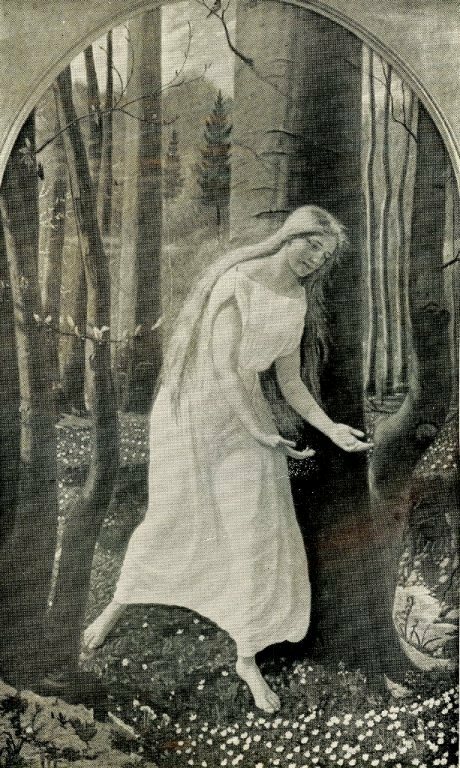 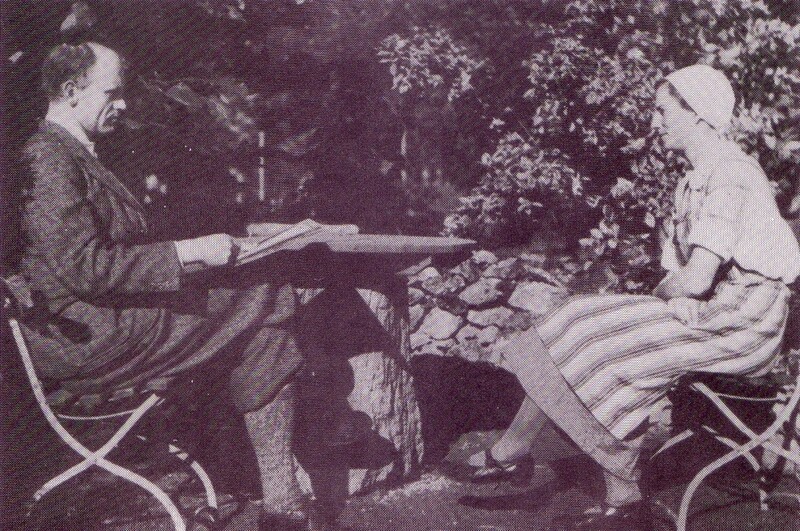 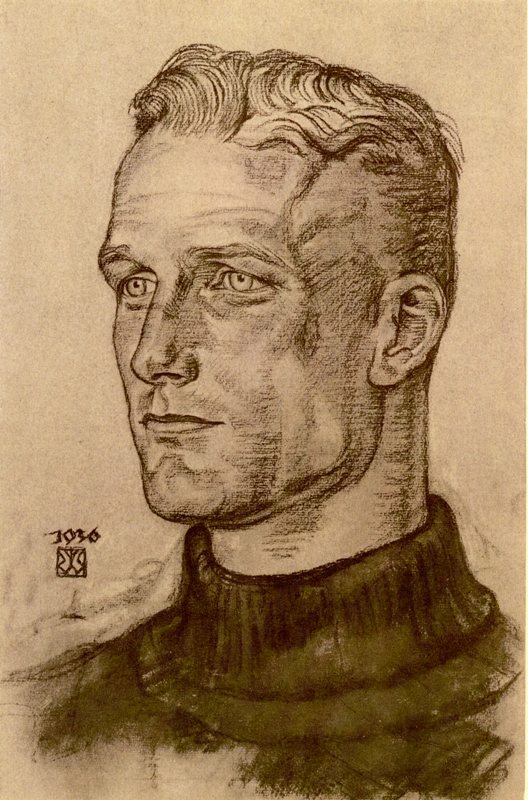 “Much of his art was destroyed during and after the war. 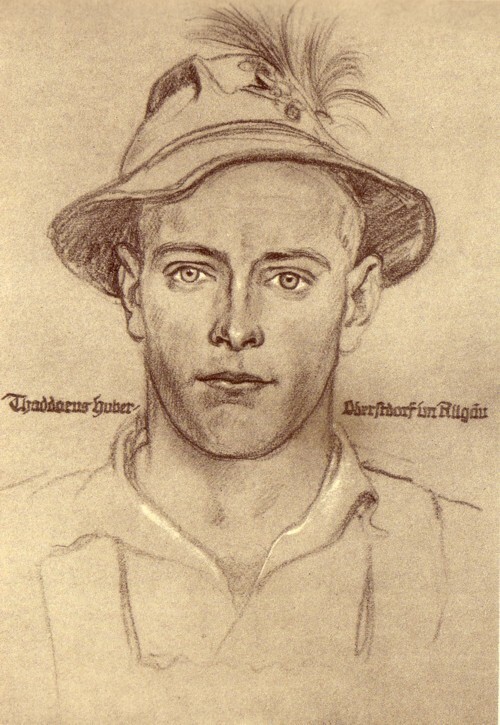 He was taken prisoner by American soliders in Göttingen where he had fled. 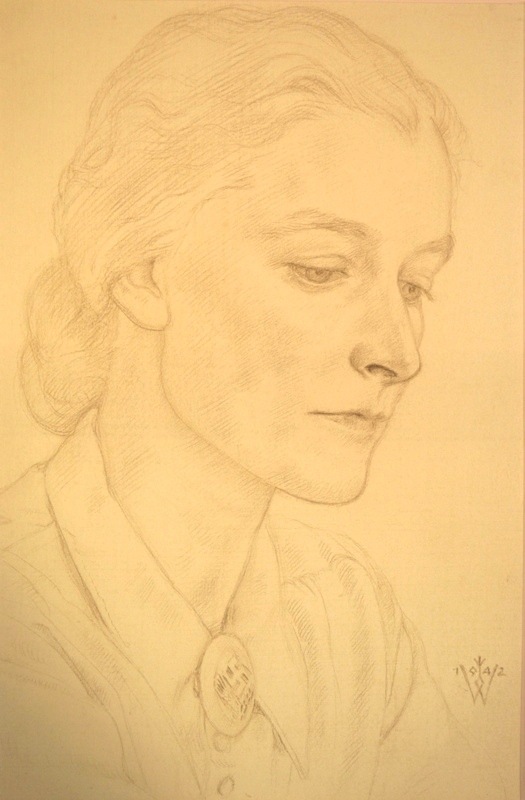 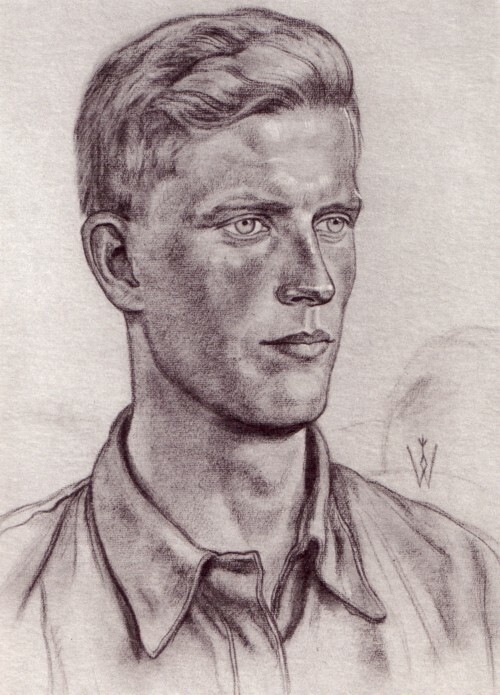 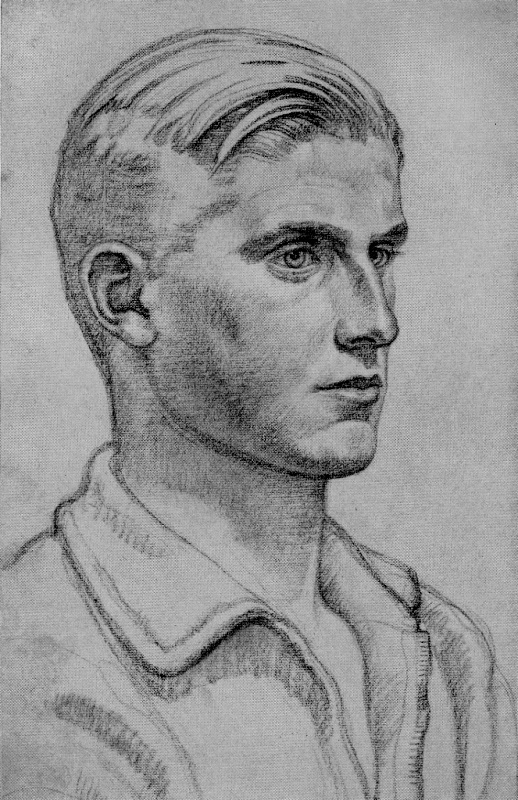 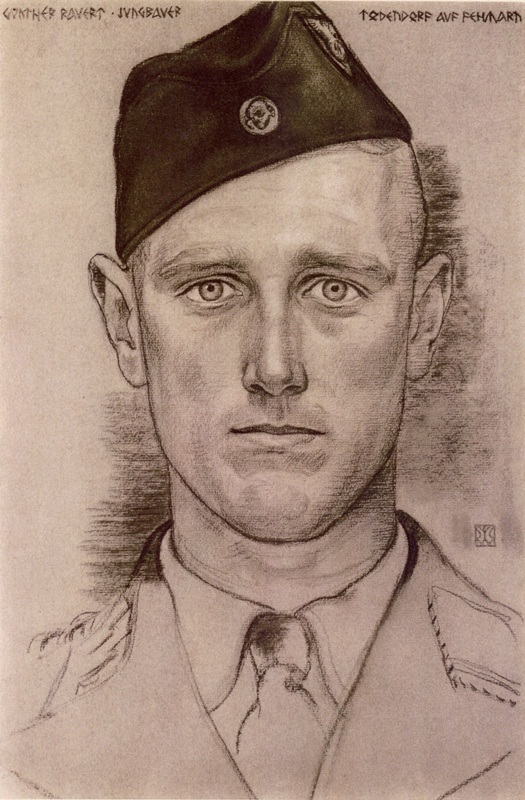 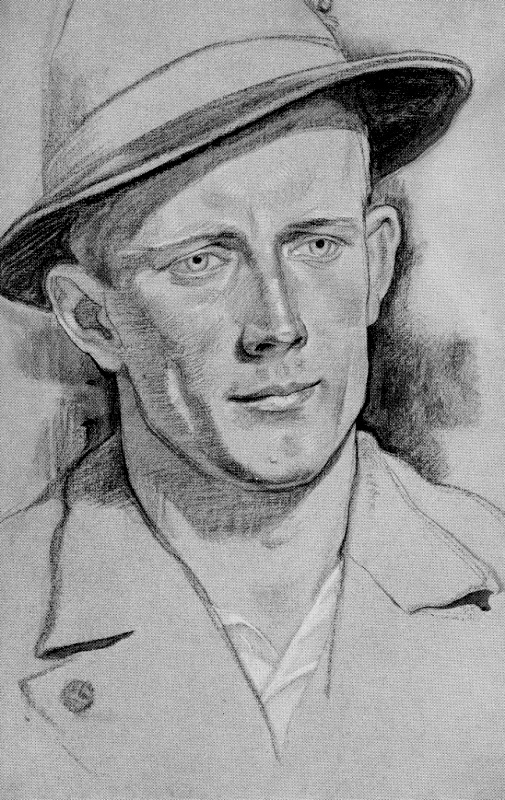 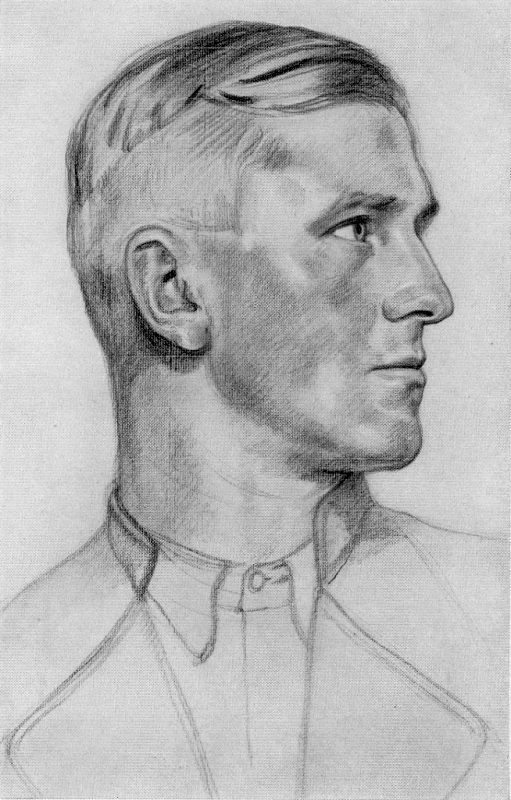 Sent to a prisoner-of-war camp in Normandy after the war, he sketched portraits of American soldiers to make some money. 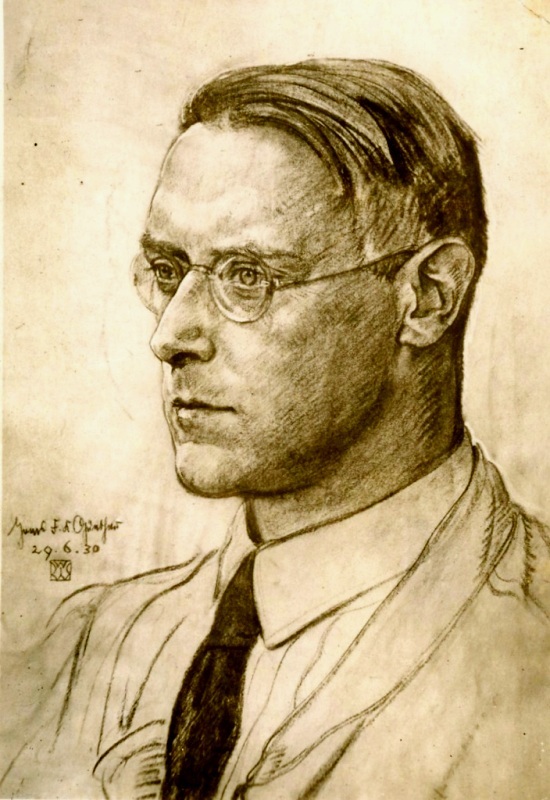 He returned to his family in Göttingen where died of cancer at age 51. 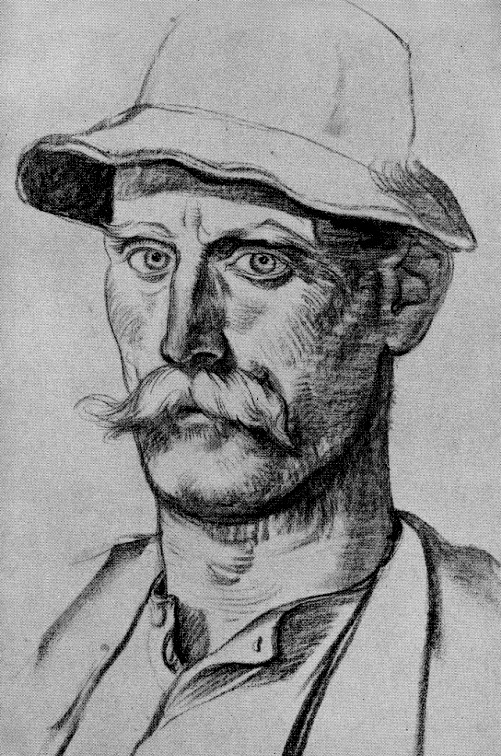 This site has the right-click + copy “function disabled”. 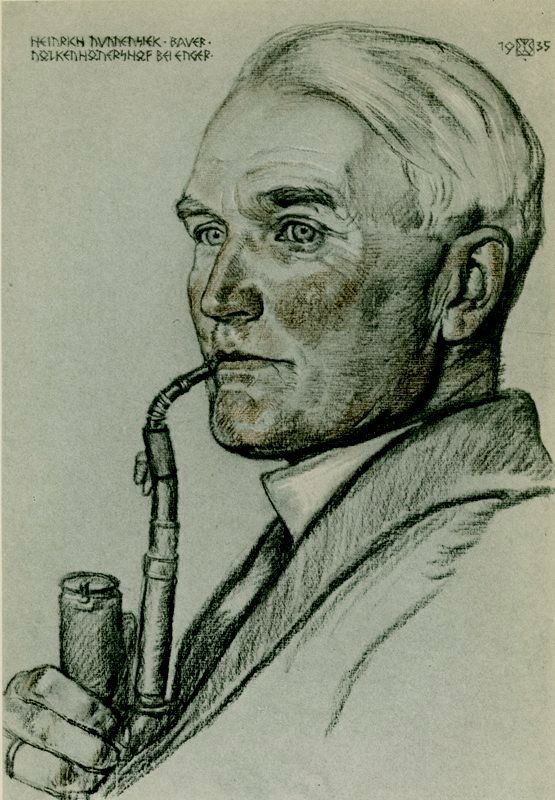 Willrich “was not involved in politics. 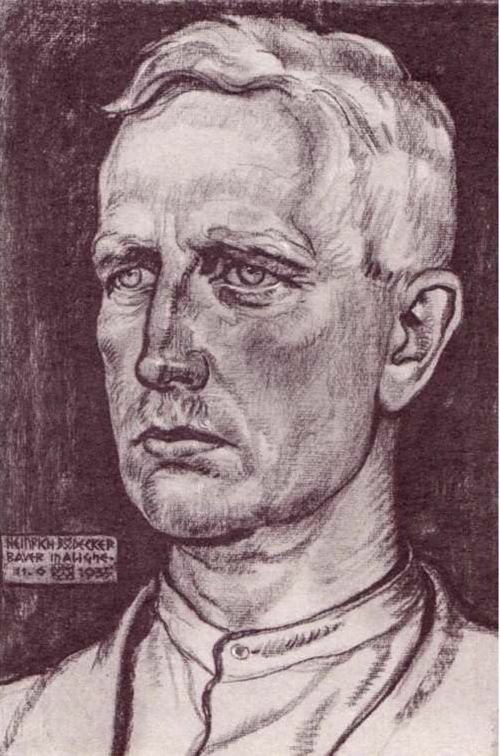 However examples of his work were seen by Walter Darre, the National Socialist Reichsbauernfuhrer and Minister responsible for the Blood and Soil aspect of NS politics. 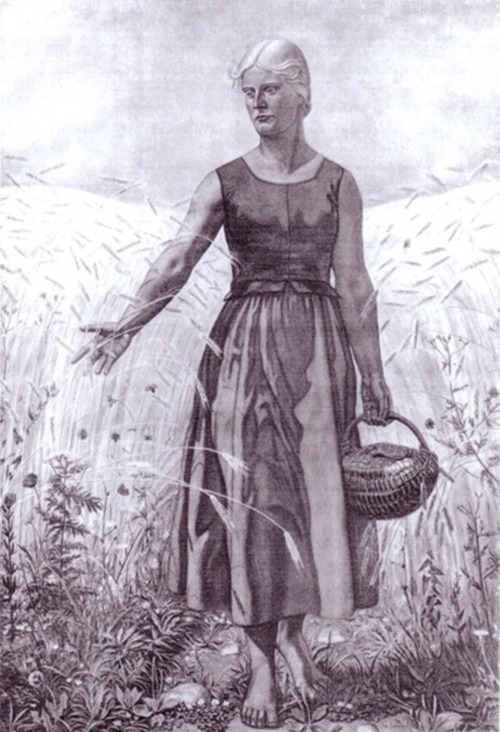 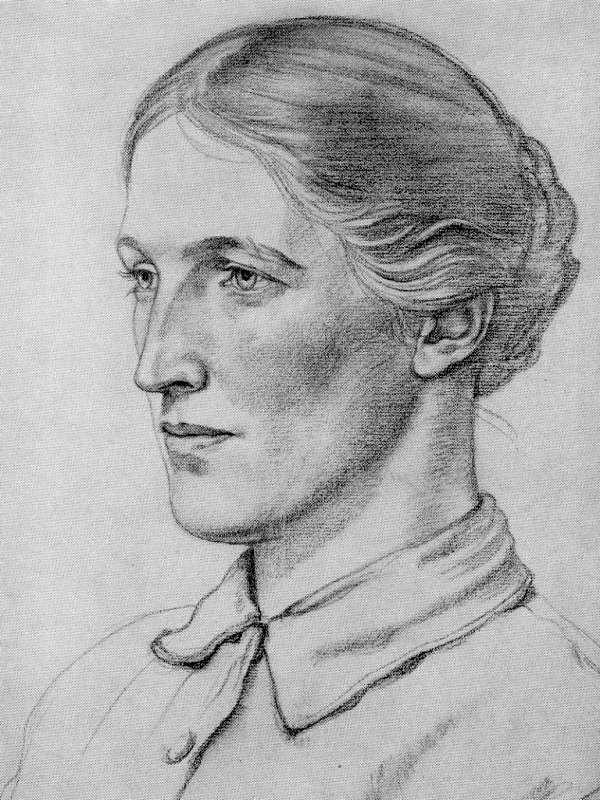 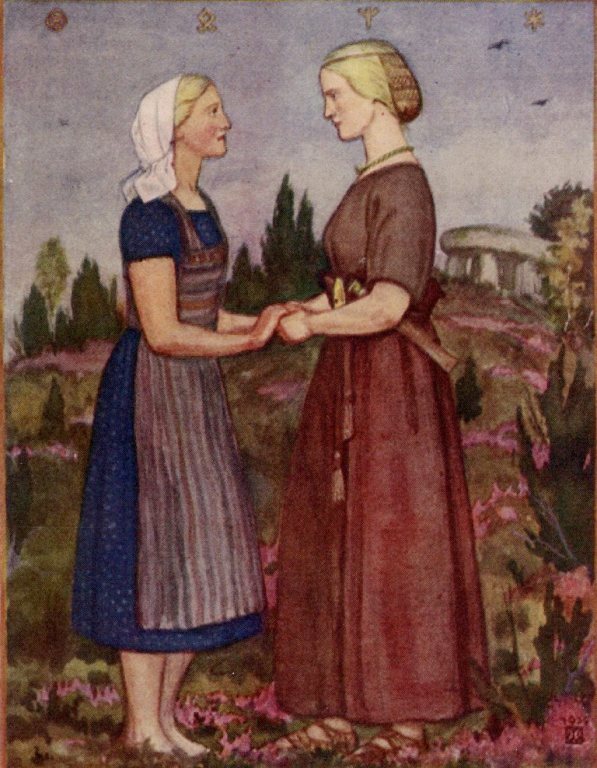 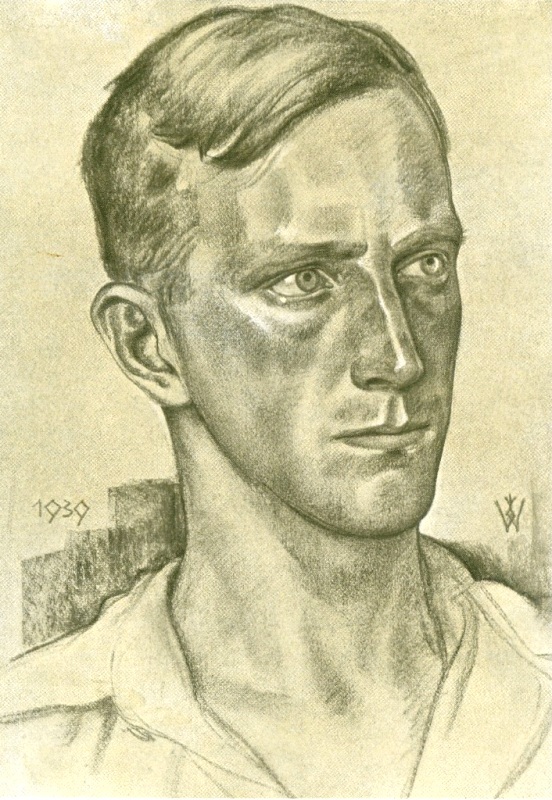 Darre arranged for Willrich to move to Berlin where he took up duties as an artist working for Darre’s department, producing studies of German peasants and country-folk from both within the borders of the Reich and German speaking communities across Europe. 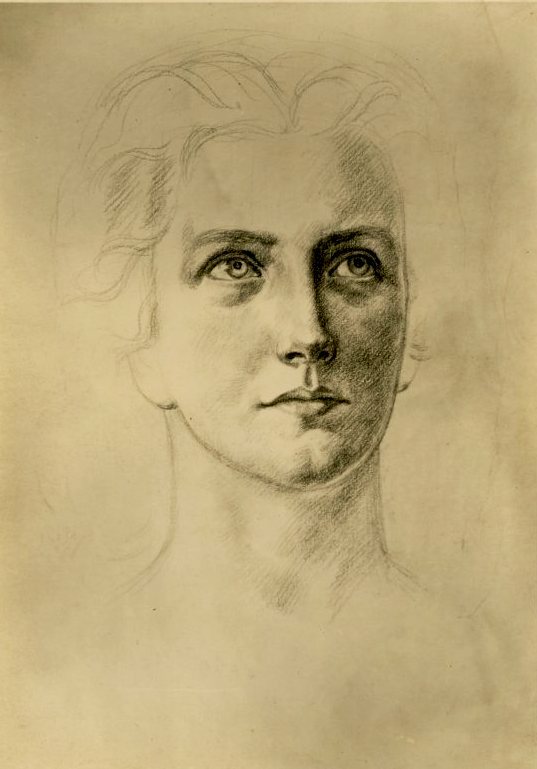 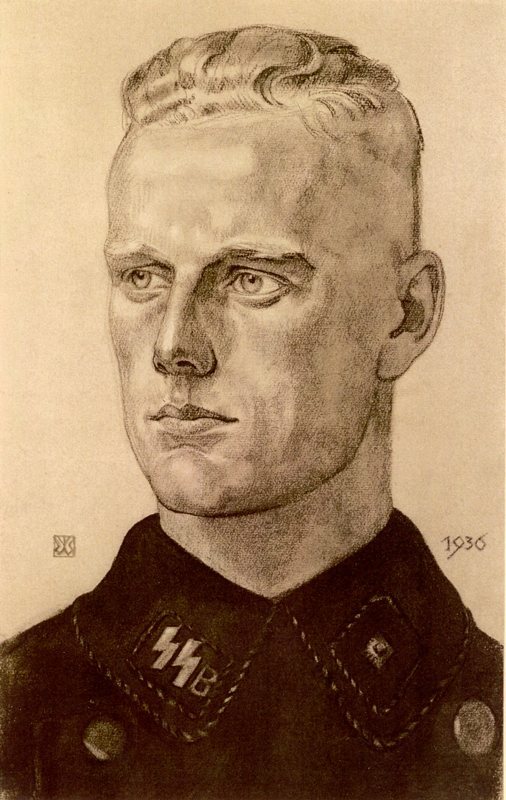 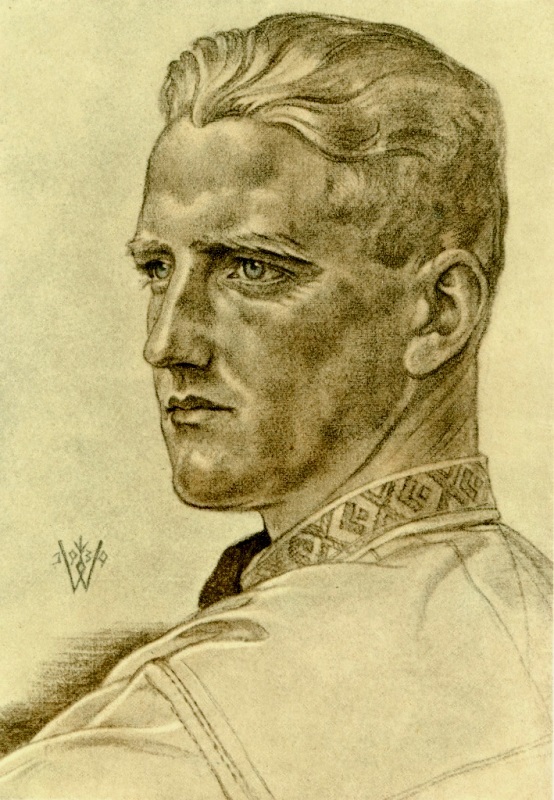 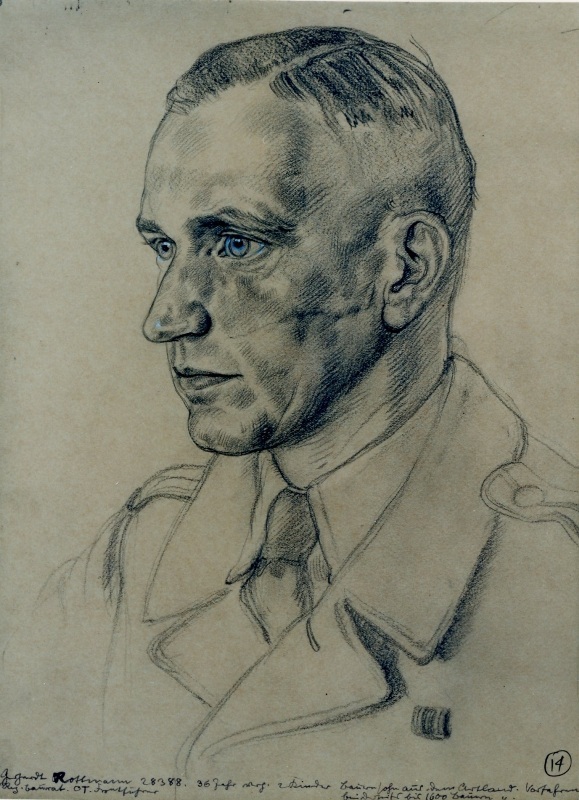 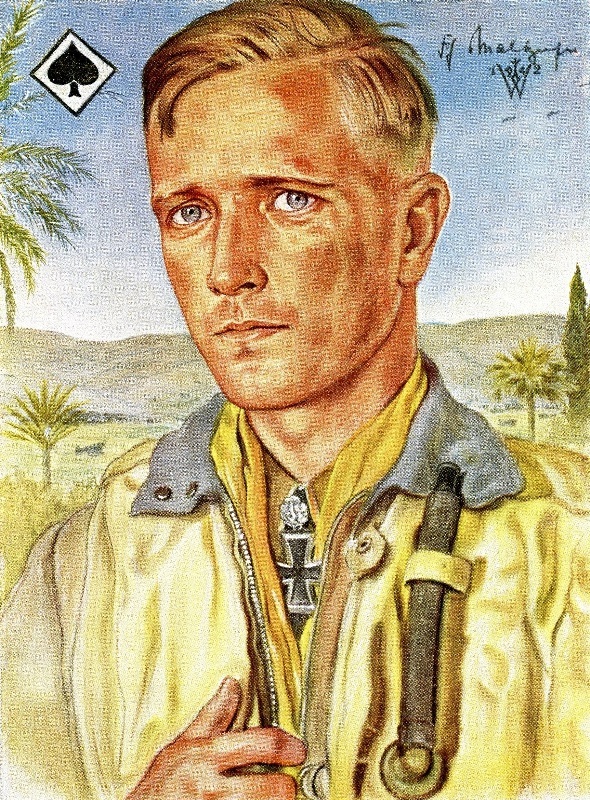 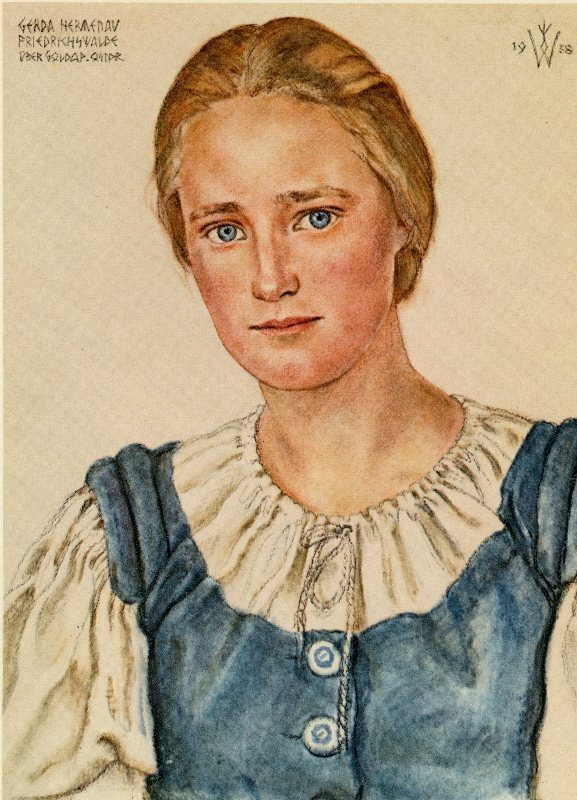 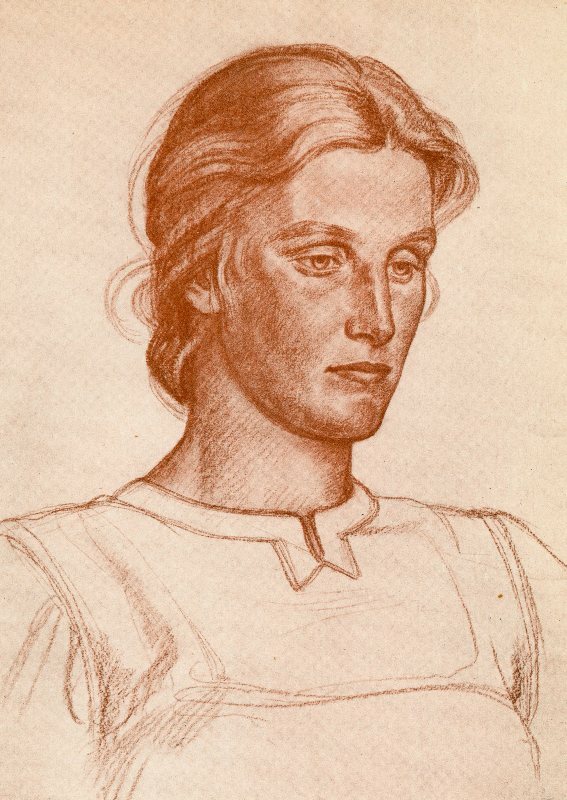 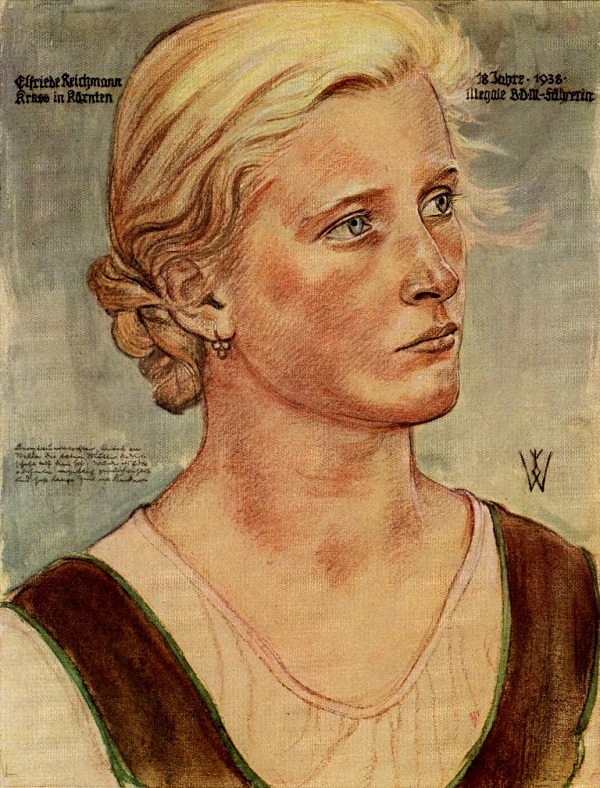 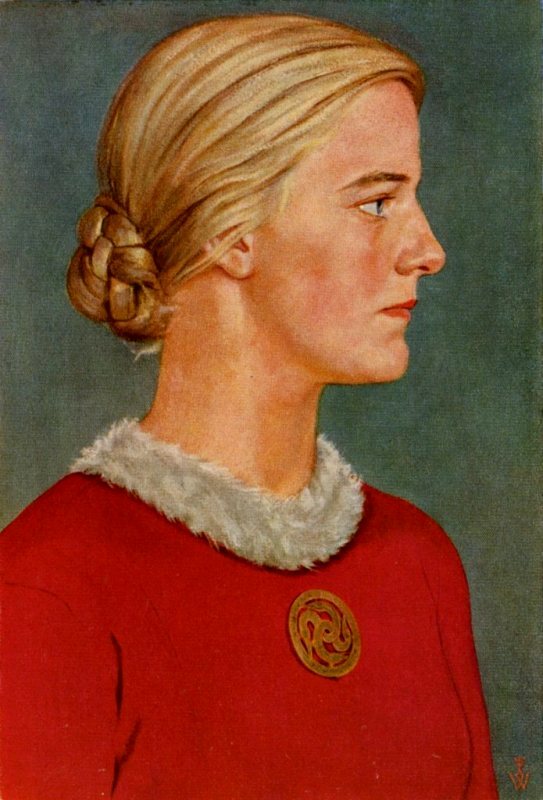 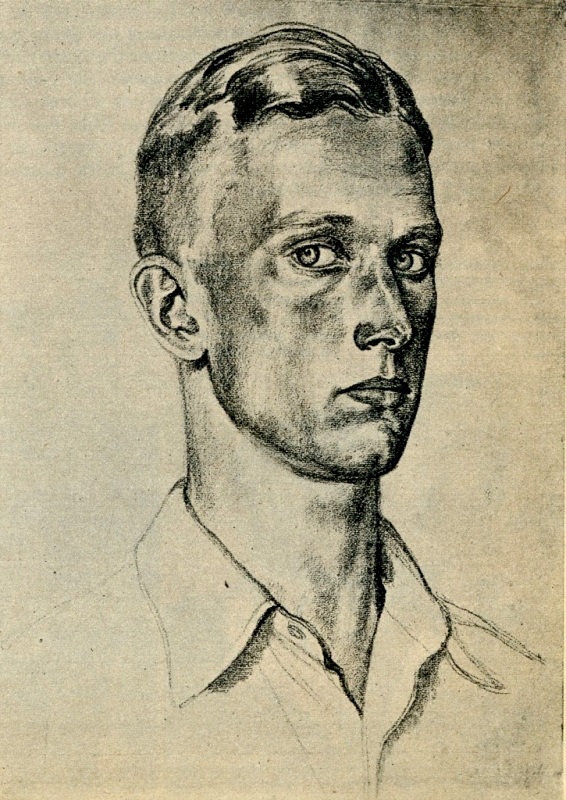 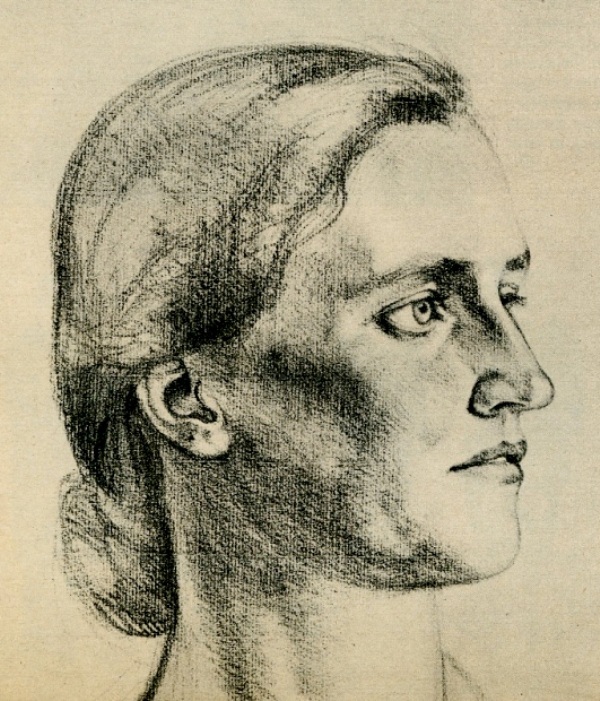 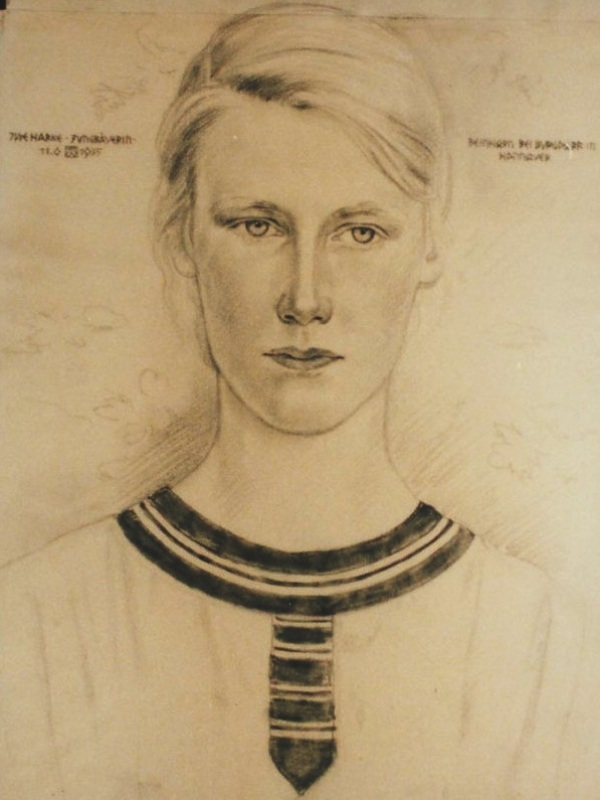 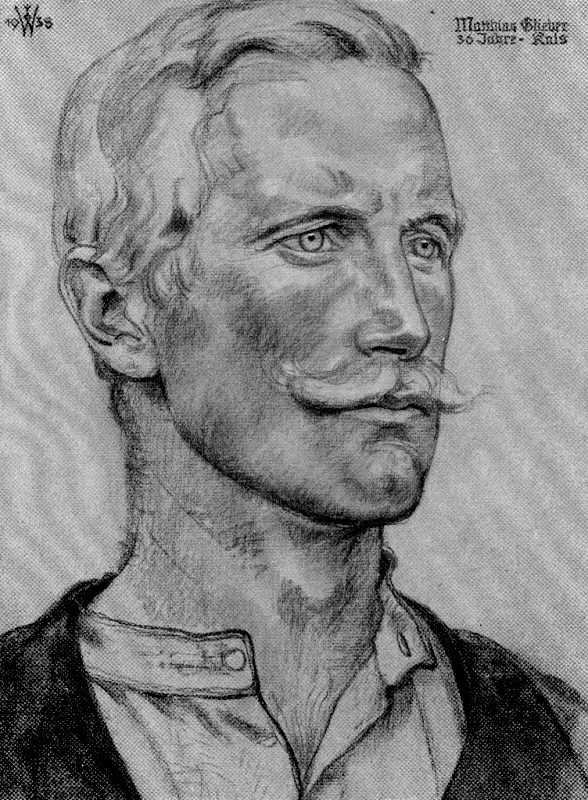 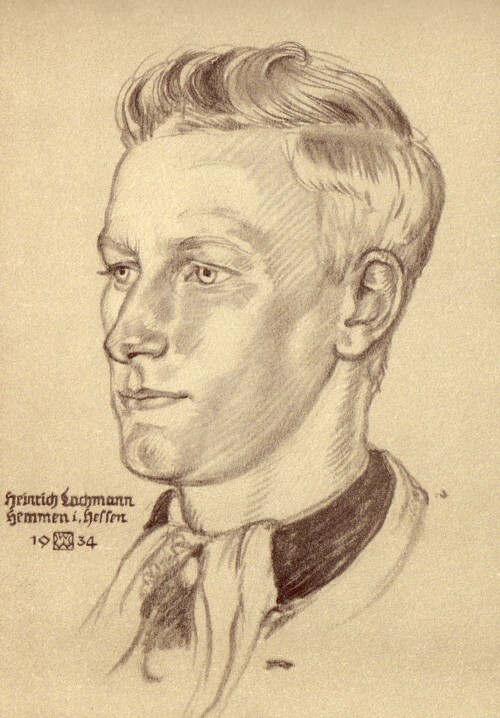 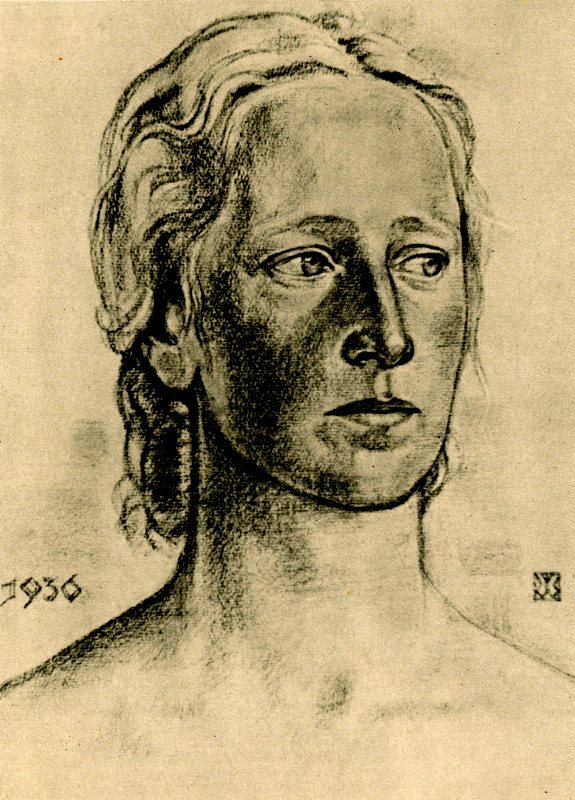 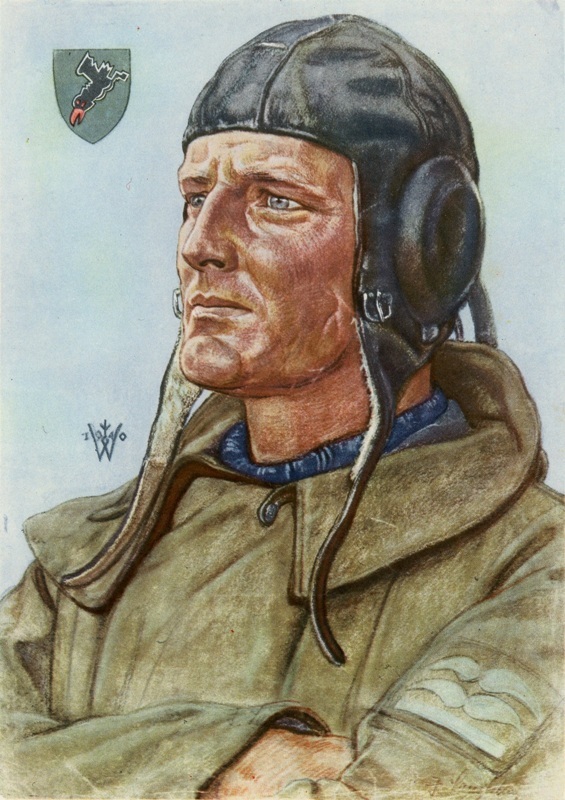 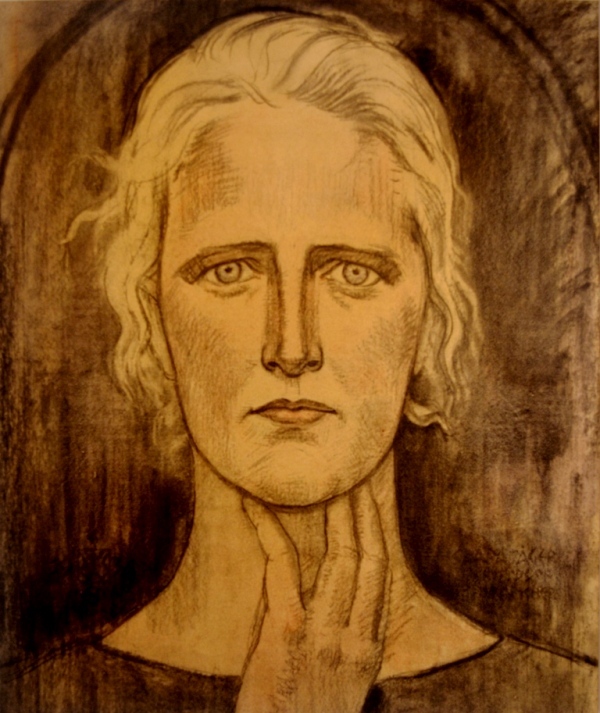 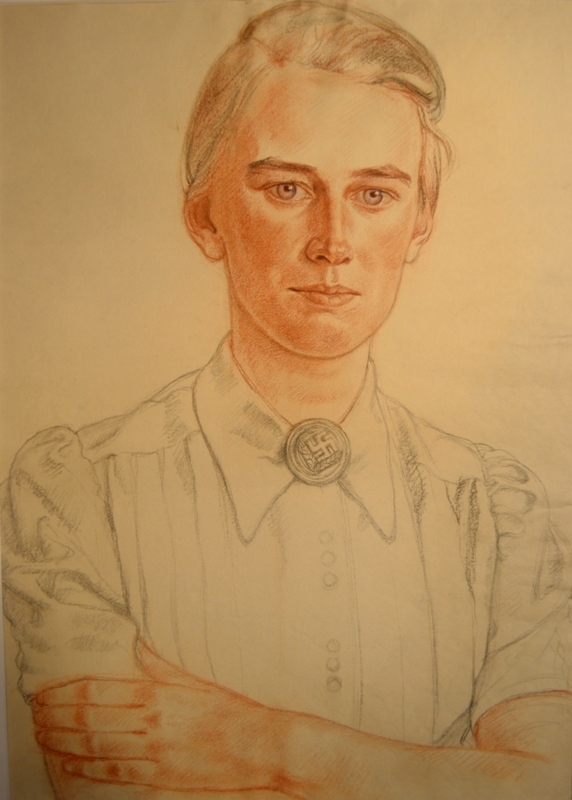 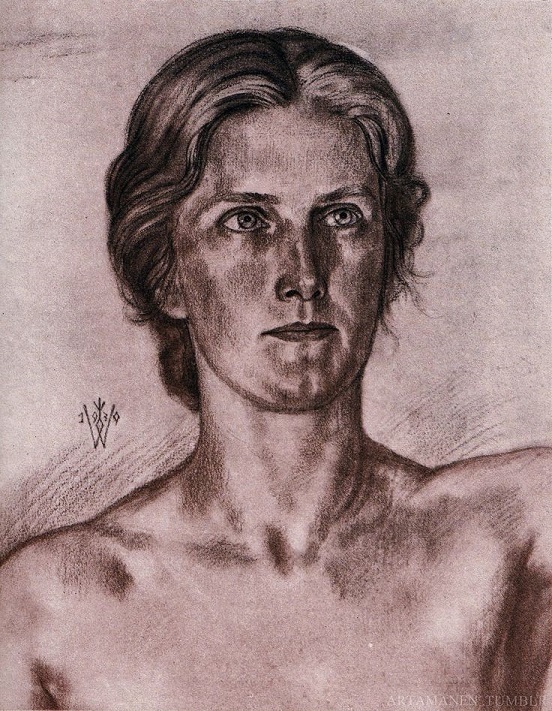 Wolfgang Willrich did not join the NSDAP, nor did he become involved in politics, but between 1935 and the outbreak of war in September 1939 produced a massive amount of portraiture, illustrated in books, used as posters, postcards and reproduced in magazines and newspapers. 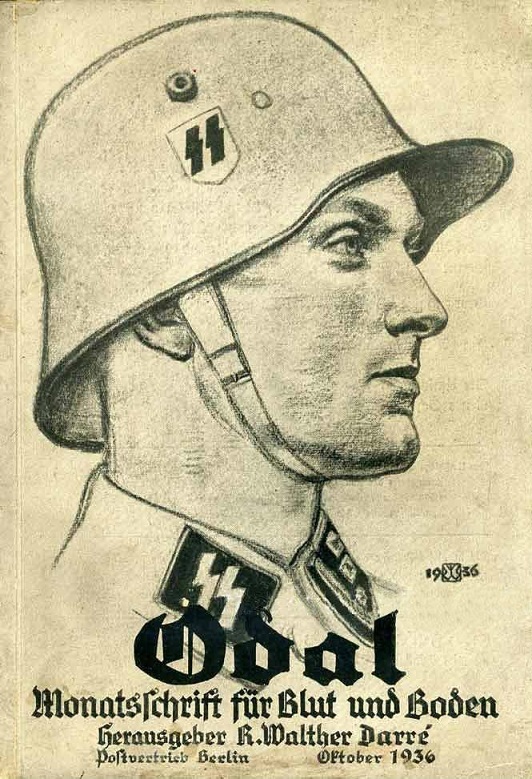 In effect the National Socialist ideal of Blood and Soil. 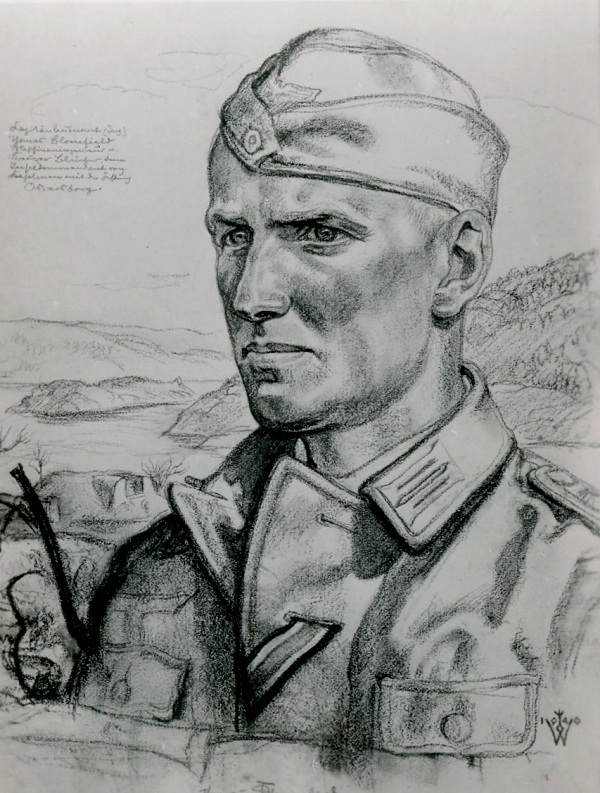 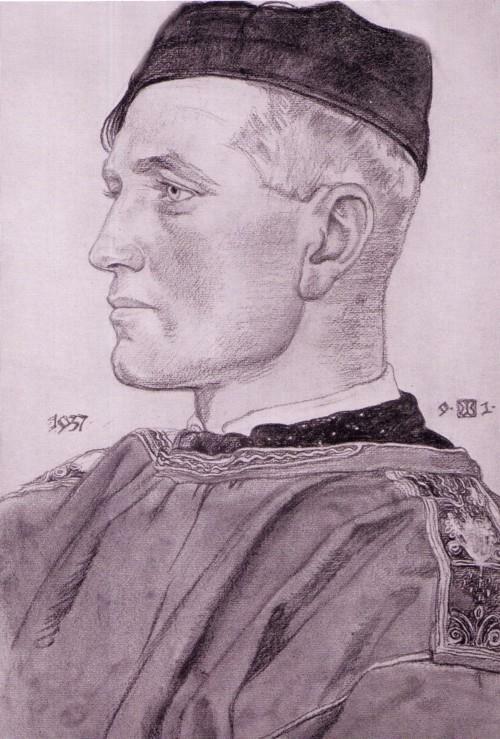 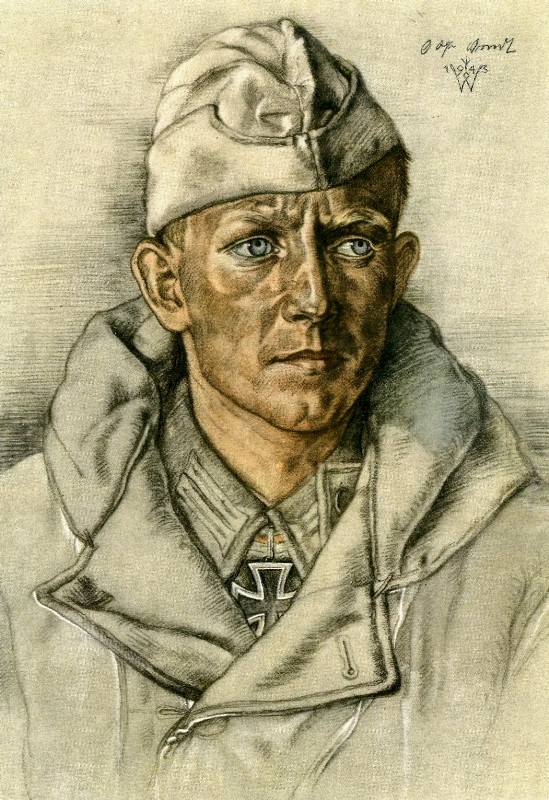 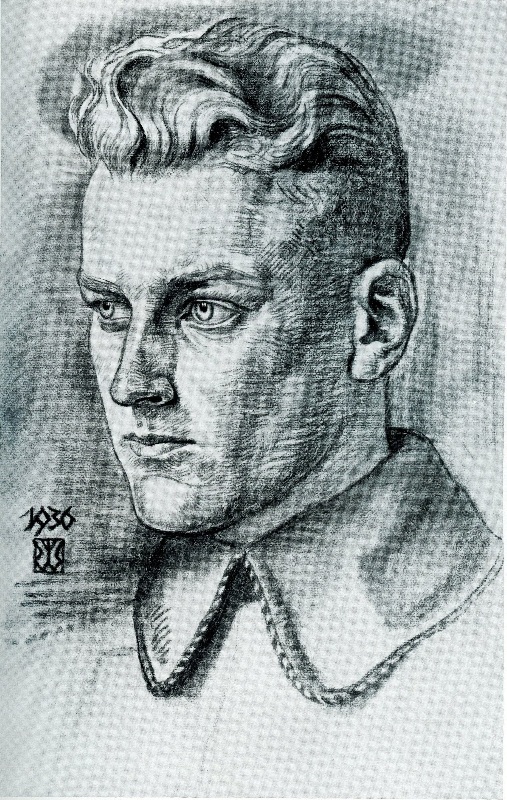 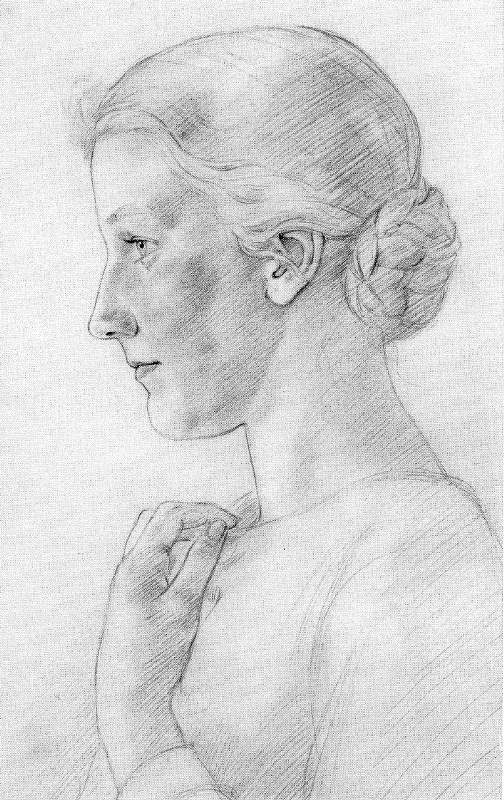 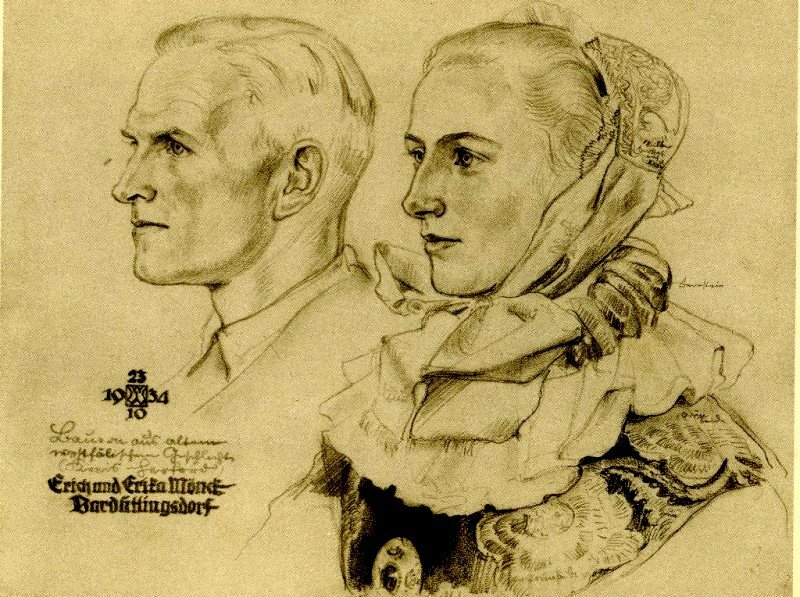 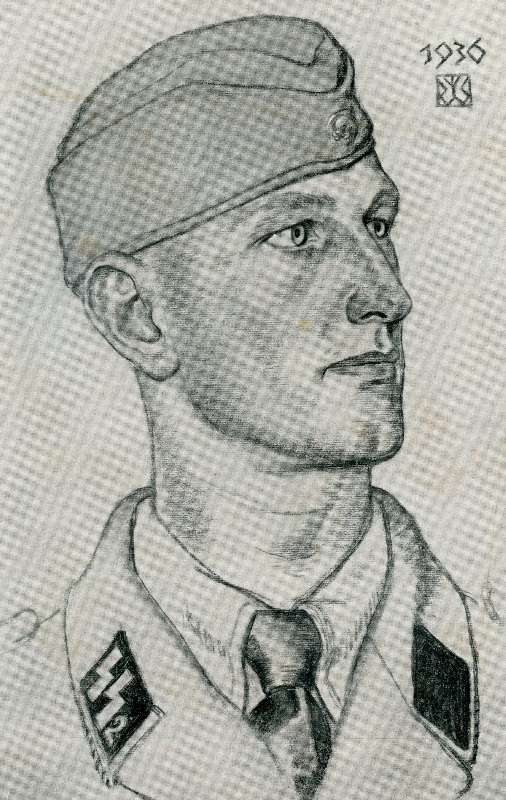 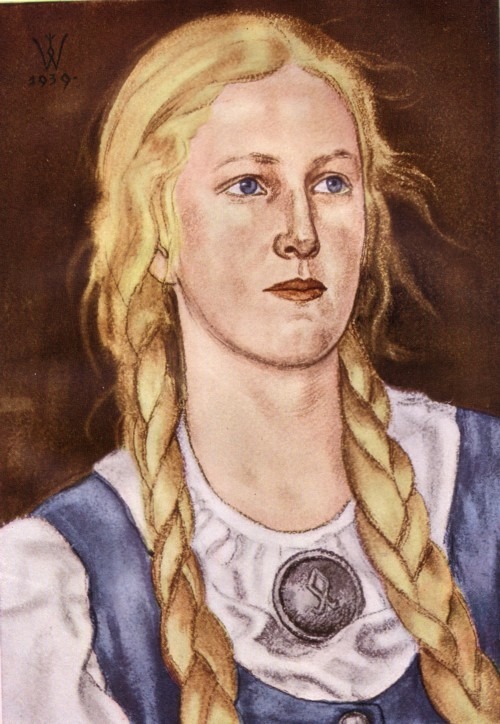 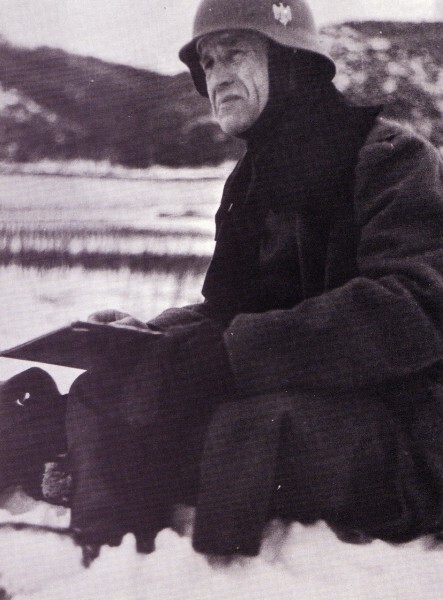 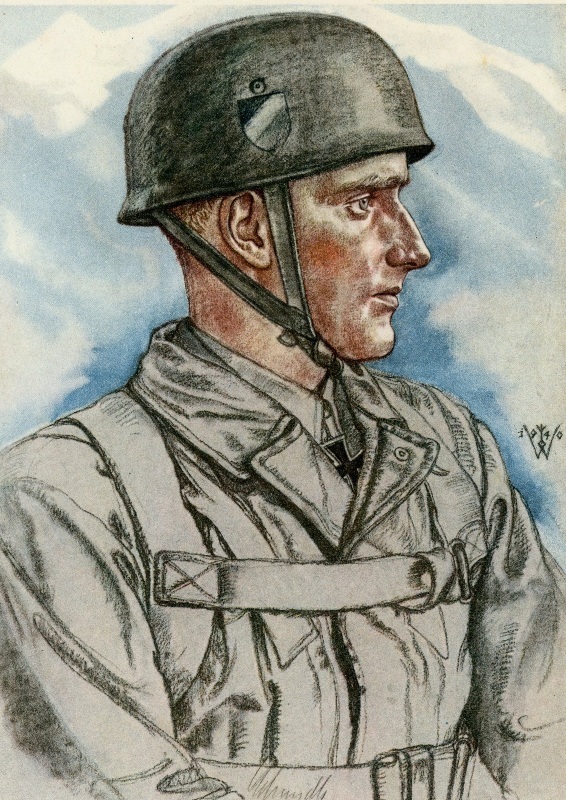 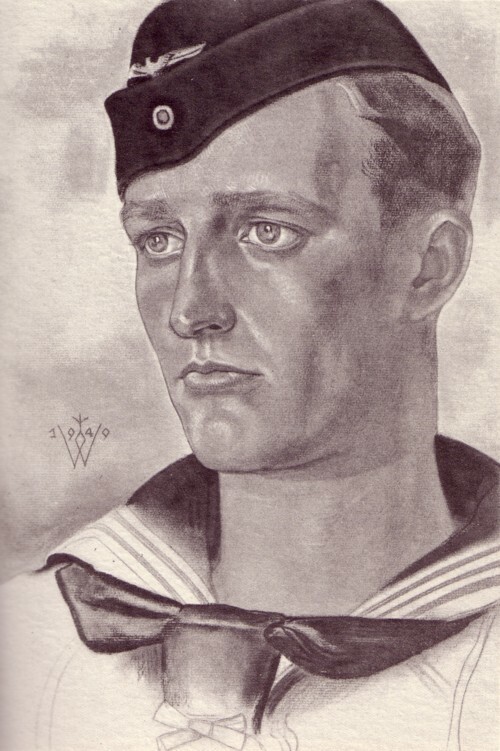 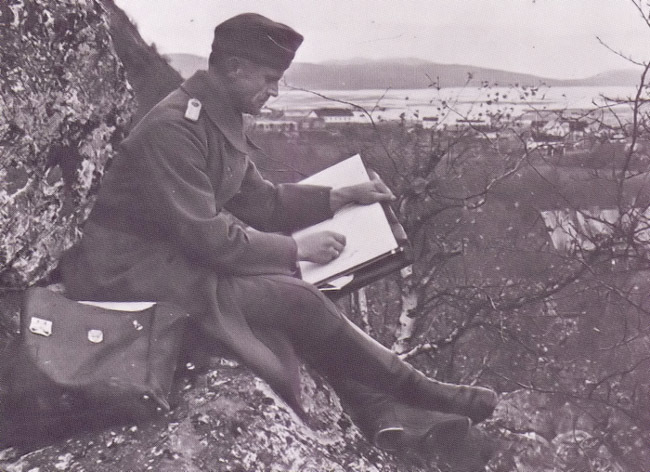 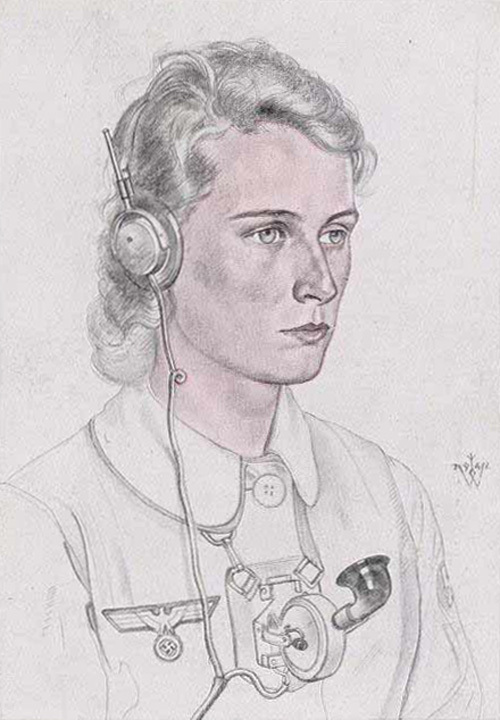 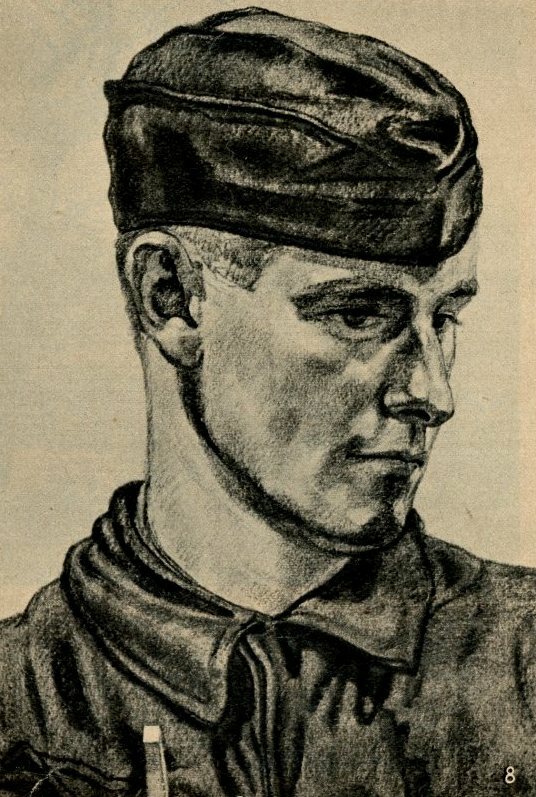 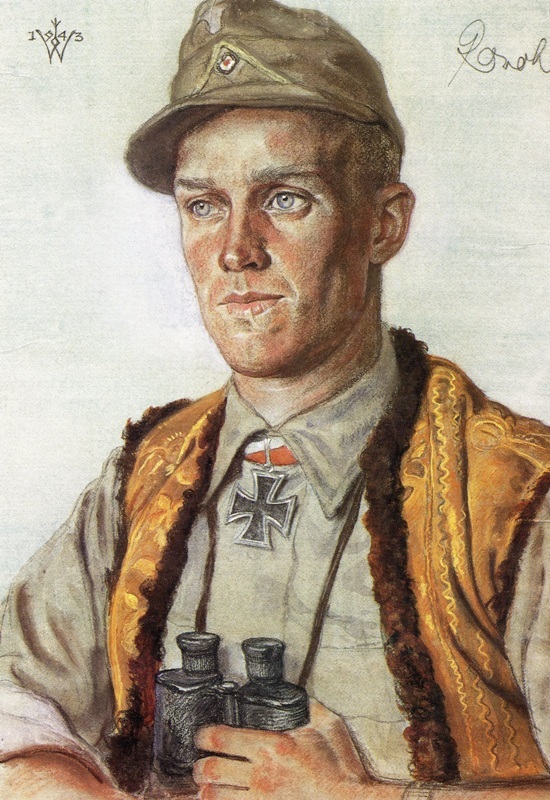 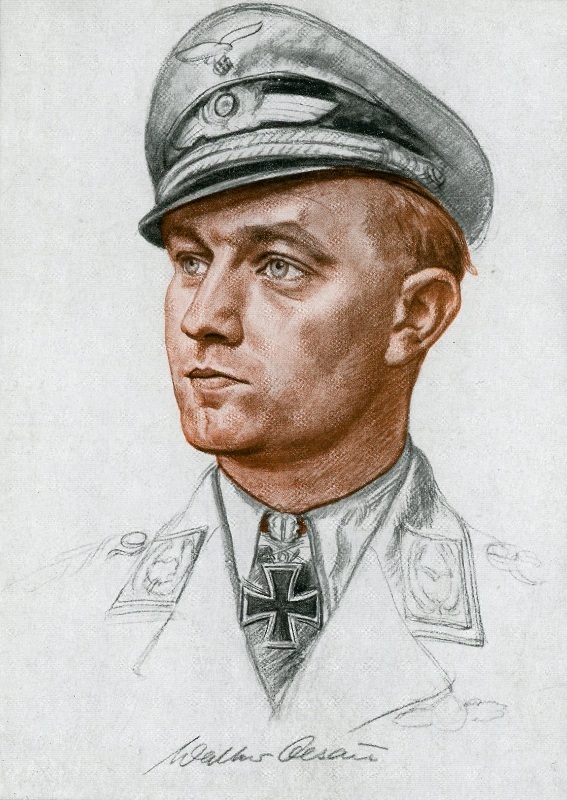 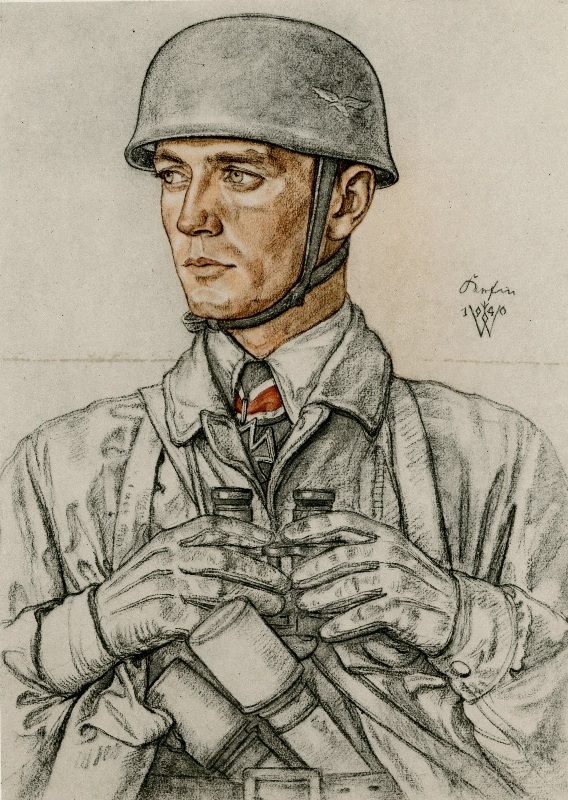 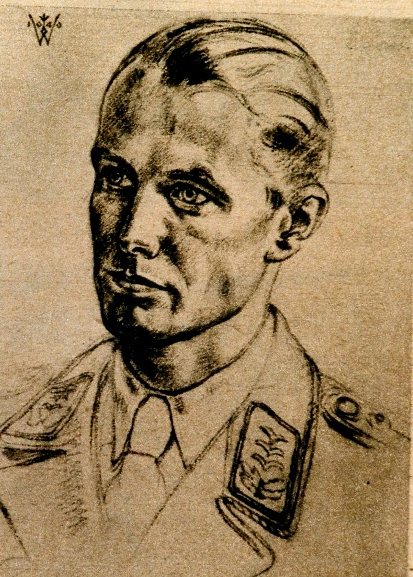 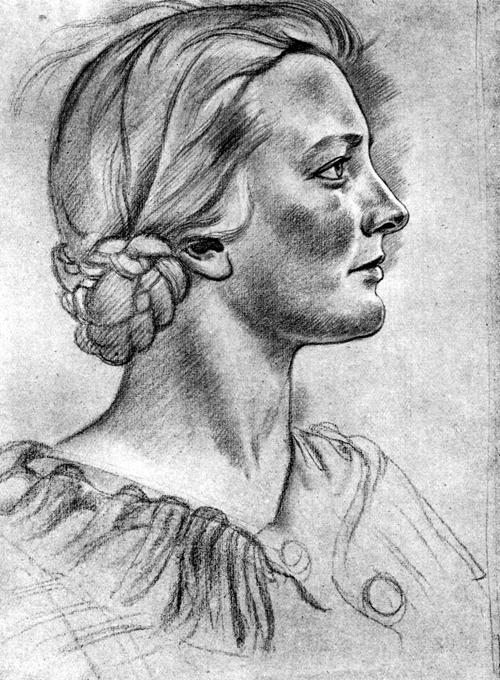 Such was Wolfgang Willrich’s reputation by 1939, that Reichsfuhrer SS Himmler commissioned him to produce a series of illustrated portrait work for the SS. 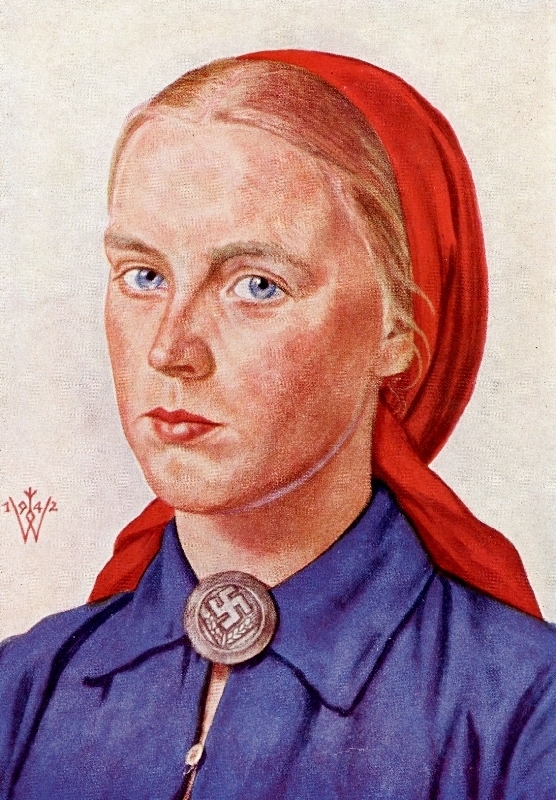 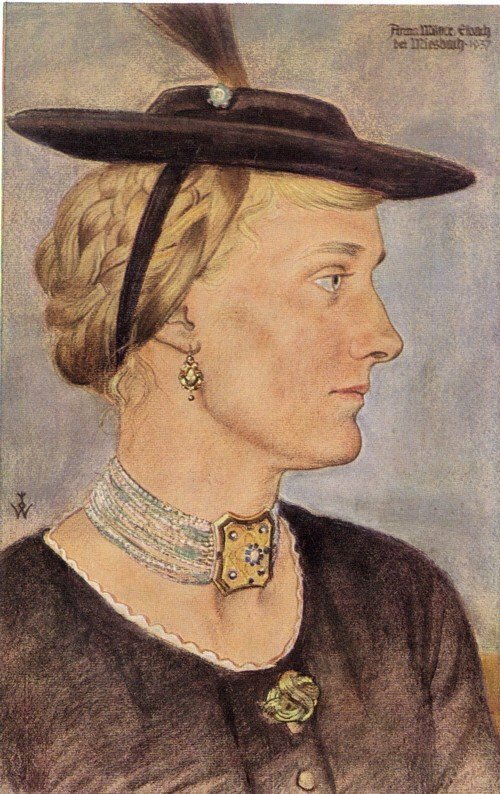 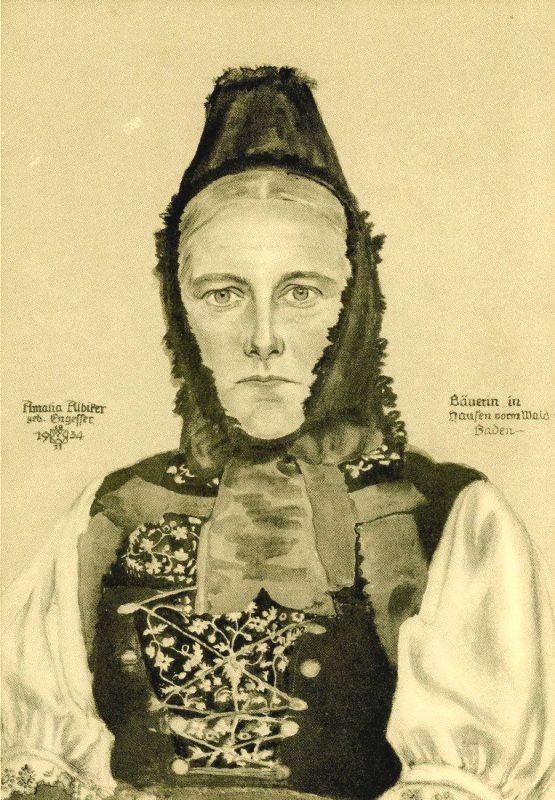 Entitled ‘Vom Lebensbaum Deutscher Art’ his ‘Mappe’ of SS portraits was printed and published by Darre’s ‘Blut und Boden Verlag’ in Goslar. 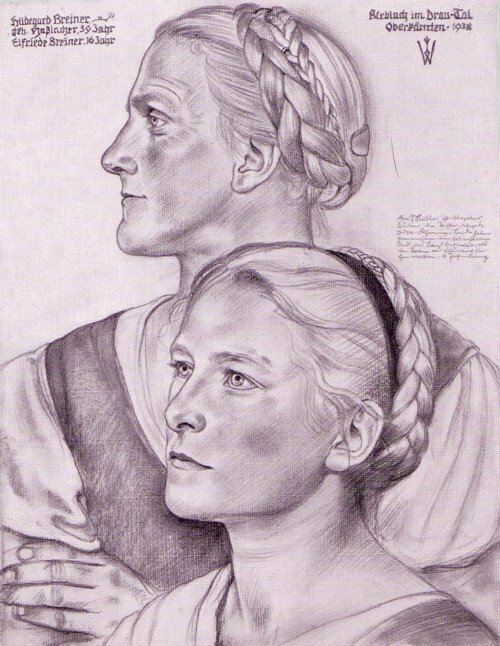 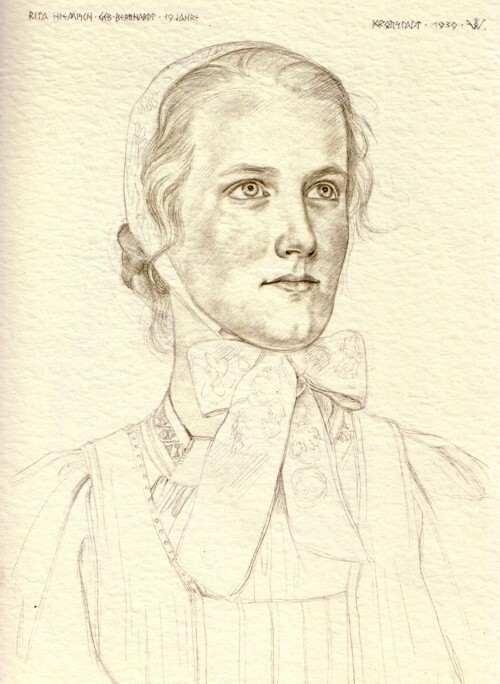 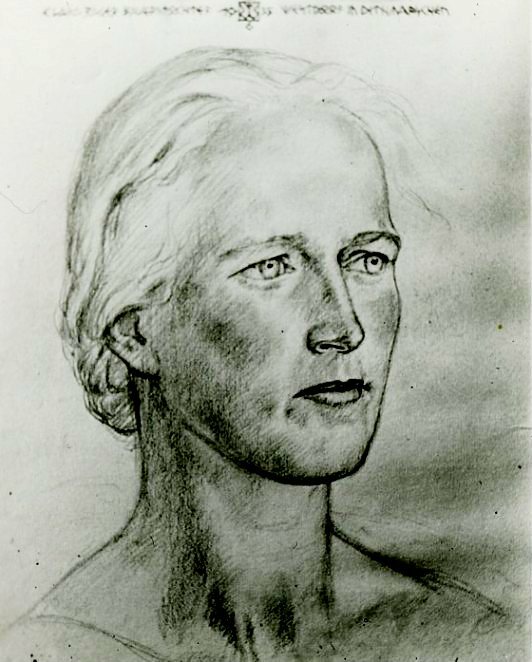 “Willrich left behind a tremendous legacy for those interested in portrait art and the study of European racial types. 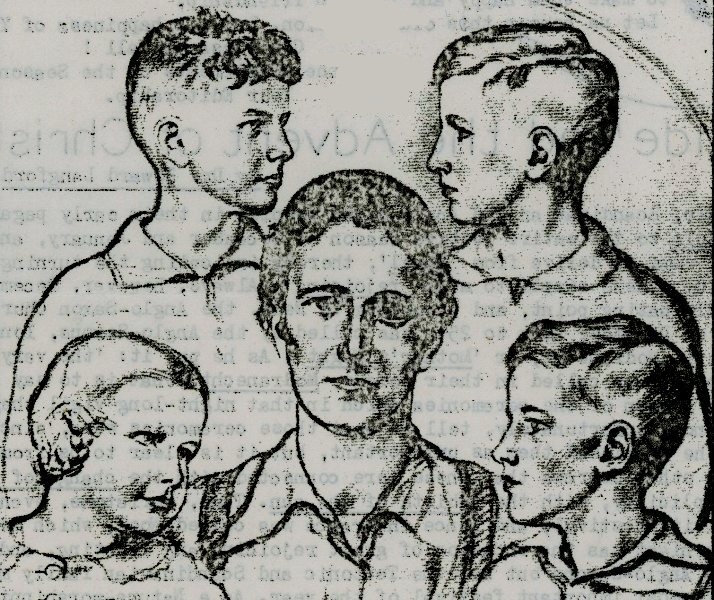 In the early years of the 21st Century, the study of race and the classification of human kind by racial groups in [sic] neither fashionable nor deemed to be ‘politically correct’. 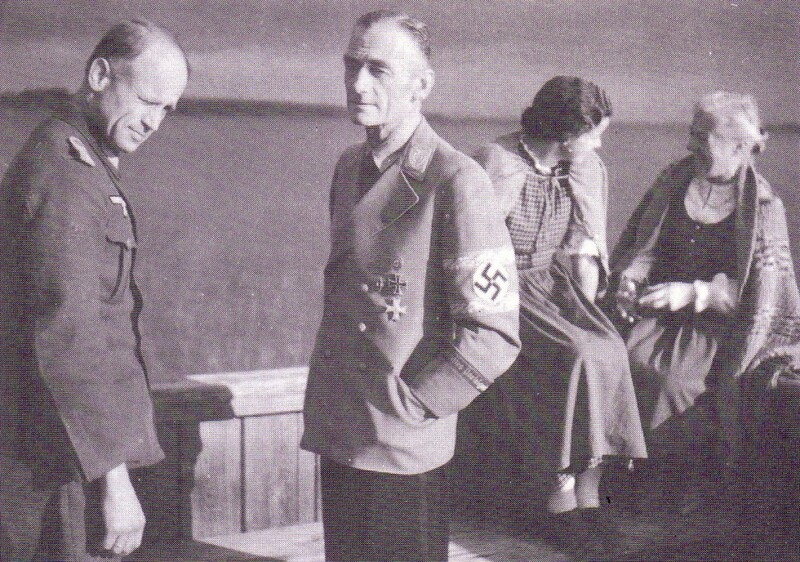 Racial science and the study and identification of racial differences is generally discouraged. 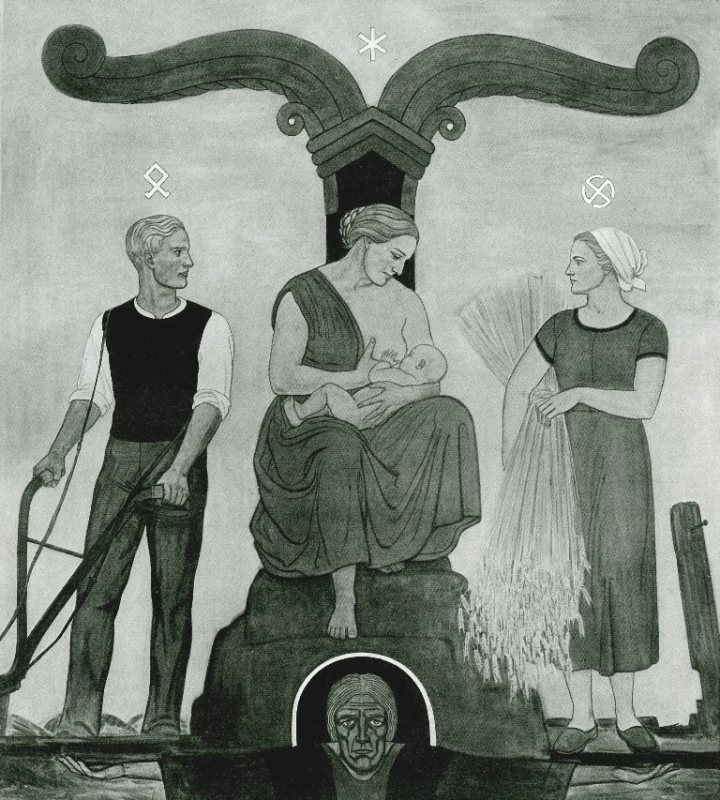 This entry was posted in Uncategorized on 09/05/2015 by Völkisch Pagan.